Hitler's invasion of Russia was one of the landmark events of World War II. This documentary reveals the lead-up to the offensive, its impact on the war and the brinksmanship that resulted from the battle for Moscow. 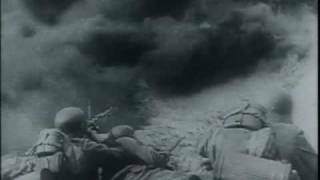 Rare footage from both German and Russian archives and detailed maps illustrate the conflict, while award-winning historian and author John Erickson provides insight into the pivotal maneuvers on the eastern front.